It's been awhile since I posted a design from my Flickr group. Elizabeth just added this one and a few other recently. I am in love with this necklace. That's my bezel that she filled with the Eiffel tower photo and resin. This is why I love my Jangles Flickr group. 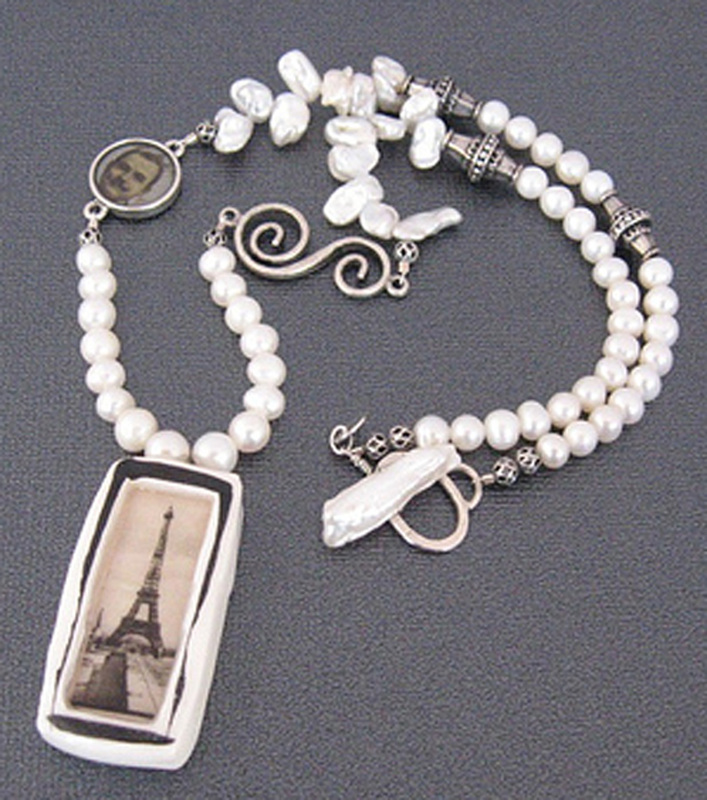 I have my bright and funky style and I would never think of making something so eclectic and monotone as this necklace. It's beautiful and I hop it inspires you as much as it has inspired me. If you want to see more of Elizabeth Del Monte's work you can find it at here Etsy shop. By the way, when I checked it out there was a crazy sale going on so get over there quick!